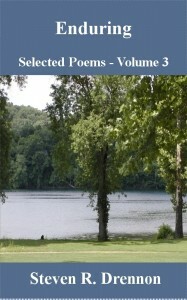 My third volume of poetry is titled “Enduring“, and it features 100 poems from different stages in my life. Steve R. Drennon is a prolific poet. His warm loving poems have found a place in my heart. In this book he talks about memories, loneliness, kisses in the moonlight, the beauty of nature, ecstasy, changing seasons, happiness created in the heart by someone you love and dancing in a romantic way. He also provides some wise advice. This is the third book in a series of very affordable books. In my search through all the 99 cent poetry books these are some of my favorites. I look forward to escaping into a world of meaningful poems each time I read one of Steven R. Drennon’s books. What I think I like most about his poems is the sheer honesty presented no matter what the situation. 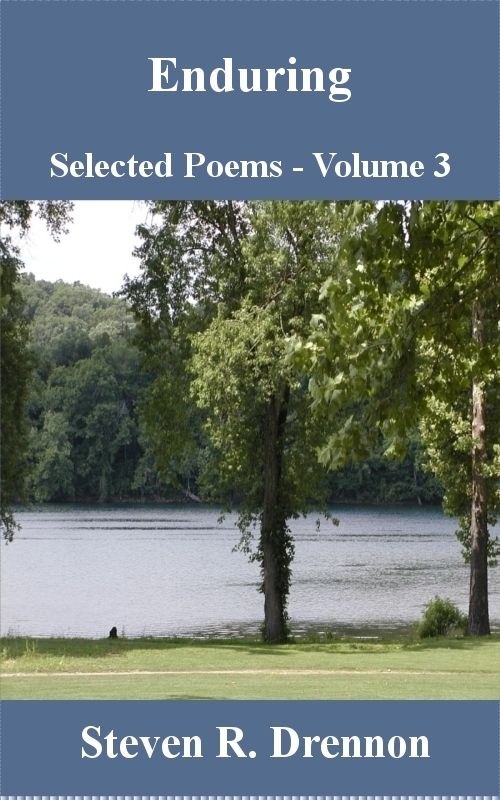 If you are a romantic you will especially like these poems. LET’S WALK . . .
WHY ARE YOU ALWAYS THERE? I WONDER HOW . . .